Nigerian workers have defied the directive given by the Labour leaders to commence indefinite strike effective Wednesday, May 18, tvcnews.tv reports. Our correspondents who monitored the level of compliance across country report that workers resumed their duty posts as early as 8:00am in various ministries, agencies and other parastatals visited contrary to the labour directives. Similarly, bank workers, schools and transporters are also carrying out their normal duties without fear as at the time of filing this report. Meanwhile, one of the two factions of the Nigeria Labour Congress rose from a meeting with the government Tuesday night with a resolve not to down tools. 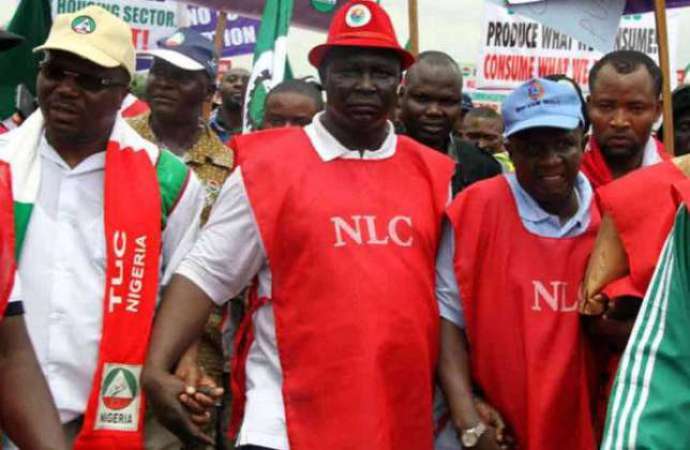 The President of the National Industrial Court of Nigeria, Justice Babatunde Adejumo had earlier yesterday granted an interim order restraining the Nigerian Labour Congress (NLC), from embarking on indefinite strike slated for Wednesday to protest the hike in the price of petrol. The Judge granted an interim order of injunction restraining the defendants, Organised Labour from embarking on industrial action. The federal government was represented by the Attorney General Of The Federation Abubakar Malami, who submitted that if the reliefs sought in the motion paper is refused, an irreparable damage will be done to the country’s economy. In his ruling, Justice Adejumo held that he has jurisdiction to hear the application. He added that threats by the defendant as contained in the communique issued by NLC on May the 15th, to shut down the economy has proven that there’s a reason to be protected. The new pump price was announced last week by the Minister of State for Petroleum Resources, Ibe Kachikwu.